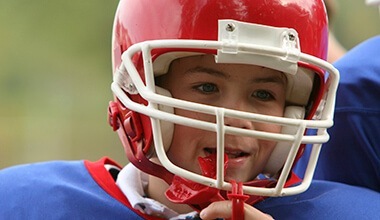 At Anderson Family Dental, we truly believe in the power of preventive dentistry. We’d much rather stop a dental issue than treat it later, don’t you? Dr. Joy Todd and our team have plenty of tools in their tool belts to do exactly that. 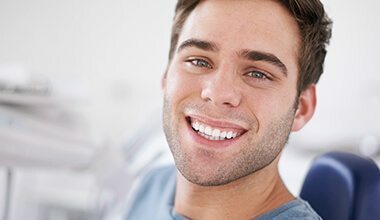 We’ll take care of your teeth, your gums, and you’ll always leave the office with a worry-free smile. When was the last time you saw your dentist? If you had to think about it, be sure to contact our office today for your next hygiene appointment! Dr. Todd likes to consider herself a “ground level” kind of doctor, and that means she nails basic treatments so you don’t have to get more complicated ones in the future. When it comes to dentistry, nothing is more essential and effective than standard checkups and cleanings. 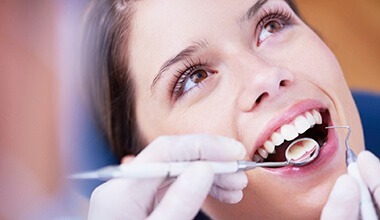 A dental cleaning allows one of our skilled hygienists to clear away plaque and tartar from those areas in your mouth you simply can’t reach at home. Even if you brush and floss every day, it simply isn’t enough, but thanks to our skilled team, your teeth will be squeaky clean before you know it. After the cleaning, Dr. Todd will perform a standard oral exam where she’ll check your teeth and gums for any signs of decay or infection. Depending on what she sees, she’ll come up with a treatment plan that will be specifically tailored to you. These appointments are the best ways we can prevent small problems from turning into big ones. To stay healthy year round, we suggest that you come to see us for a standard checkup at least twice a year. Everybody knows that if you don’t brush your teeth consistently, you’ll probably develop a cavity. The same idea actually applies to your gums as well. When too much bacteria and plaque builds up on your gum line, it can cause a condition known as gum disease. Early symptoms can involve red or swollen gums, but over time, it can develop into receding gums, painful bacteria filled pockets, and even tooth loss! We’ll always keep an eye on your gums during your regular checkup, and if you develop gum disease, we may use two periodontal therapy procedures to treat it called scaling and root planing. 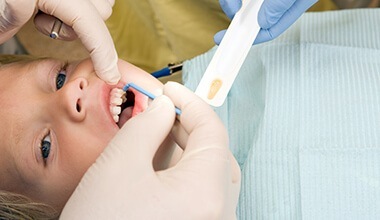 Scaling is like a dental cleaning just for your gums. We’ll use small tools to remove plaque and tartar that has built up on and below your gum line. After that, we’ll use root planing to gently smooth the roots of your teeth. This helps prevent plaque from gathering on your gums in the future, and it also helps your gum tissue heal faster. This is a treatment ideally suited for children who are still learning to brush their teeth. Our children's dentist will place a thin, clear layer of a composite resin on their teeth to protect them from food particles and bacteria. Most of the time, we only put them on the back teeth because these are the ones most children miss while brushing. It’s just a little bit of extra protection right when they need it the most. Bruxism is a condition where a person unconsciously clenches their jaw and grinds their teeth due to stress. Most of the time it occurs while a person is sleeping, and many people are completely unaware that they do it. Over time, this can severely weaken your teeth and cause them to crack and break. In order to avoid that, we can provide you with a custom-made mouthpiece called a nightguard that you will only wear to bed. 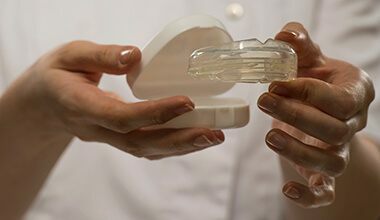 This comfortable, removable device will provide a protective layer between your teeth and prevent them from becoming damaged. Oral cancer is a serious health condition, and despite common knowledge, nearly 25% of all the people who develop it do NOT use tobacco or drink excessively. The best way to assure successful treatment is to simply catch it early, which is why Dr. Todd will always perform an oral cancer screening during your regular checkup. 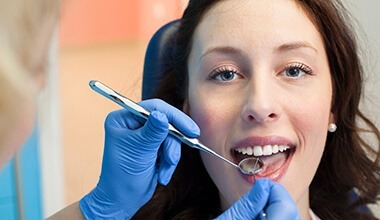 She’ll look at your gums, cheeks, and mouth for any signs of the condition, and can tell you what to do next if she finds anything that causes concern. Fluoride is extremely useful when it comes to preventing cavities and tooth decay. When it is exposed to the teeth, it literally restores the minerals that make them strong and durable. 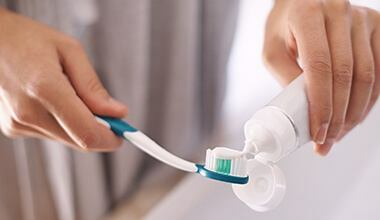 This is why it is often included in toothpastes and public water sources. We’ll always include a fluoride treatment at your regular appointment to make sure of all the problems you have, a cavity won’t be one of them. It seems like that there is a new kind of toothpaste and mouthwash every time you go to the store. Despite all of the colorful packaging, it can be difficult to actually know which one is best for your particular teeth. Thankfully, we can provide you many of these products right in our office with the recommendation of which ones are actually going to work best for your smile. Most dental care happens in the home, so we know how truly important it is that you use the right products!